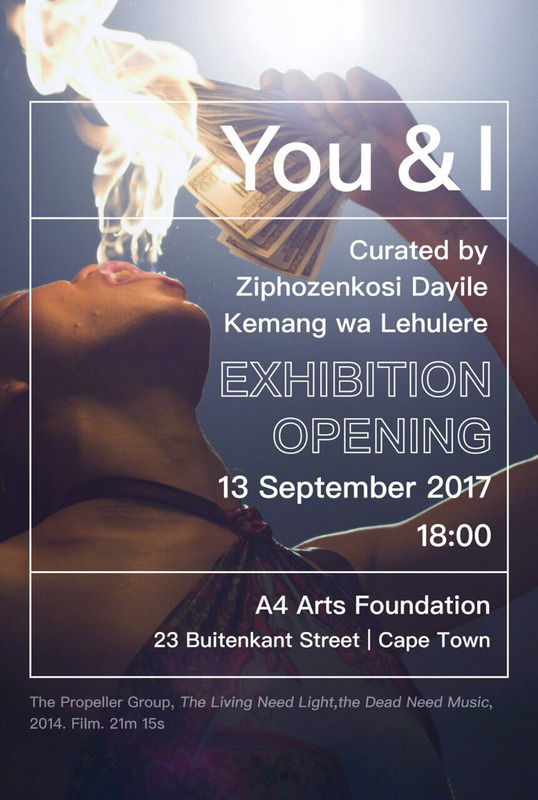 'You & I' is an exhibition that looks at how people come together and asks after the conditions, histories and dynamics of the ‘collective’. Curated by Ziphozenkosi Dayile & Kemang Wa Lehulere. 'You & I' includes artworks that invite public participation as well as pieces made collaboratively - from photographs and sculptural installations, to performances, films and an instructional performance piece. Drawing from shared histories and day to day experiences, these elements tell stories of how people connect, and disconnect. Some observe or re-imagine gatherings and processions, others look at teamwork, organisation, or individual relationships. Across the exhibition, instances of community are placed alongside searching questions: Who may ‘you’, ‘I’ or ‘we’ indeed be? With works by Zanele Muholi, Santu Mofokeng, Glenn Ligon, Moshekwa Langa, Yoko Ono, Eija-Liisa Ahtila, Malick Sidibé, The Propeller Group, Eugene Paramoer, Goddy Leye, Meschac Gaba, David Goldblatt, Mwangi Hutter, Adrian Melis, Haroon Gunn-Salie, James Matthews, Mushroom Hour Half Hour, Pierre Fouché, Billy Monk, Brett Seiler & Luvuyo Nyawose, Gugulective, Avant Car Guard, Dan Halter, Ilze Wolff, Gladys Mgudlandlu, Gladys Thomas, and others.